2025 Carl Ave, Stoughton, WI.| MLS# 1849466 | John Reuter Realtor/Broker/Owner of The Reuter Team. Wisconsin Homes for Heroes Realtor. Proud to be the Top Homes for Heroes Realtors in Wisconsin and One the Top Homes for Heroes Realtors in the United States. Immaculate open-concept ranch in Stoughton's desirable Norse View Heights! This spacious home has upgrades EVERYWHERE - 2 cohesively designed floors & multiple entertaining spaces! Modern/industrial-style fixtures paired with a sliding barn door & concrete fireplace make this unique home an absolute must-see! You'll love the private master suite with the tiled walk-in shower & walk-in closet! 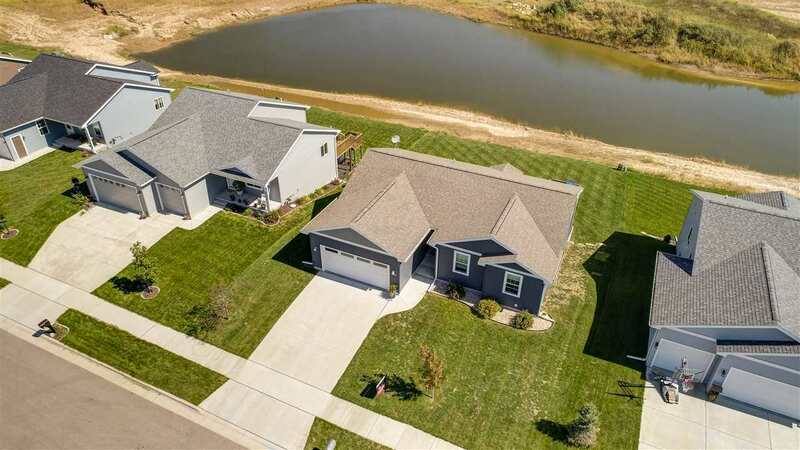 Spend your nights grilling & watching the sunset from your large custom deck overlooking a shared pond behind your house, or from the walk-out basement!